One of my dearest friends told me she does not like bacon. How is this even possible!! I on the other hand am a big bacon lover. 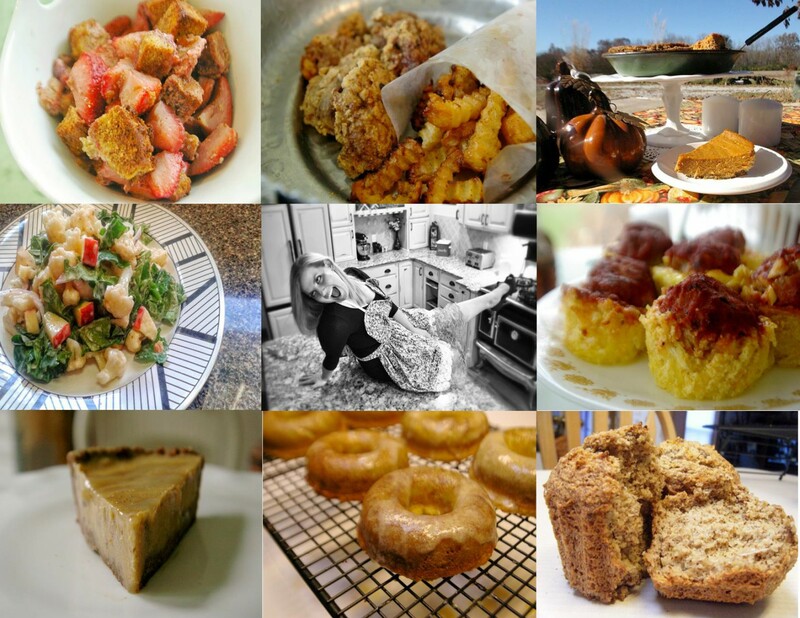 I think I could make a whole month (actually more than a month) of just bacon blogs. Today let’s start with a dinner staple-the taco. It seems like every time my friends and I decide to get together, tacos of some sort make the menu. In honor of this, I today’s recipe is for future celebrations. My wonderful mother of course was willing to lay her taste buds on the line and test this beauty. ‘Oh, wow Britt, that is awesome!’ This is the reaction I got and I think it’s enough said on why you should try this! To Make: This was actually very easy. Slightly overlap slices of bacon on a plate. Microwave for 3 minutes. Remove and insert a folded piece of cardboard (at least that’s what I used). Fold the bacon in half and let it set up. Make up a batch of sour cream. I just pureed some avocado with creole seasoning. 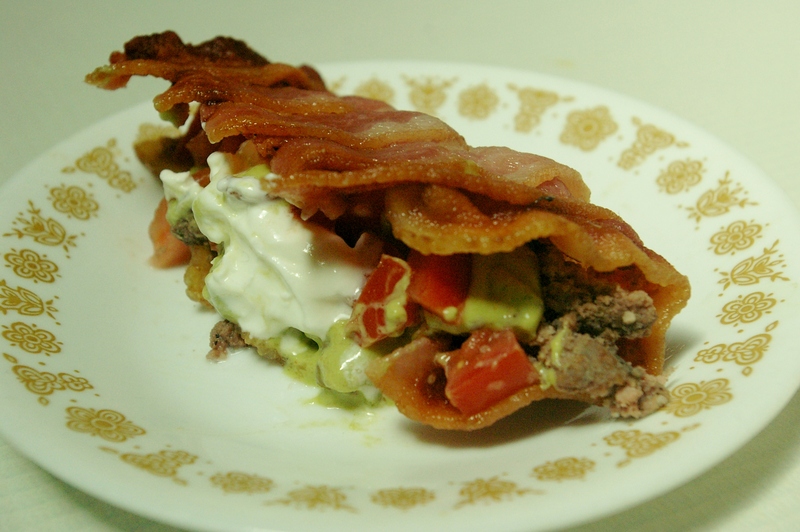 Layer your baco and you are set to go! Deliciously yummy tacos, that are grain free! Nothing in this world tastes better than bacon, it is what defines ultimate satisfaction. This is so beautiful I could weep!